Begonias are a very popular plant worldwide. They are used as bedding plants and can also be grown as indoor plants. There are lots of different leaf types, colors and flower formations. Growing begonias is a little bit of a challenge but you should do fine as long as you follow a few tips. 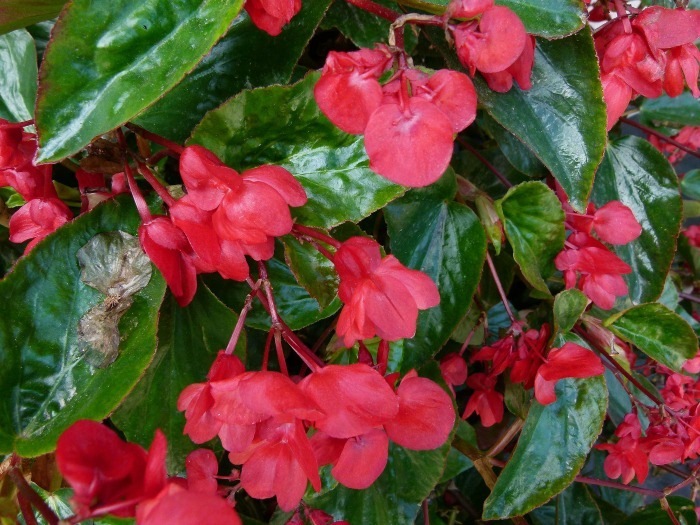 Tuberous begonias are native to the Andes Mountains of South America. The climate is humid and has cool night temperatures. This gives us an idea as to their care. They are a bit finicky to grow but well worth the effort. 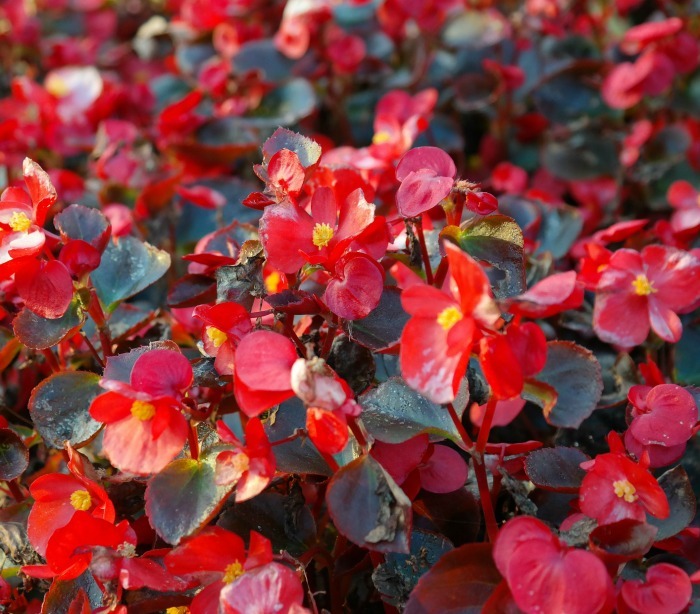 Bedding begonias are more commonly found and quite easy to grow. If you love to grow flowering houseplants, tuberous begonias are one of the showiest of indoor plants, both for their flowers and also their pretty leaves. There are basically two types of begonias. Some are grown from seeds and the others are grown from tubers. Seed started begonias tend to be small and are a bit harder to grow indoors. They are often used as bedding plants in outside borders. Begonias grown from tubers are more tolerant indoors and grow into larger plants. 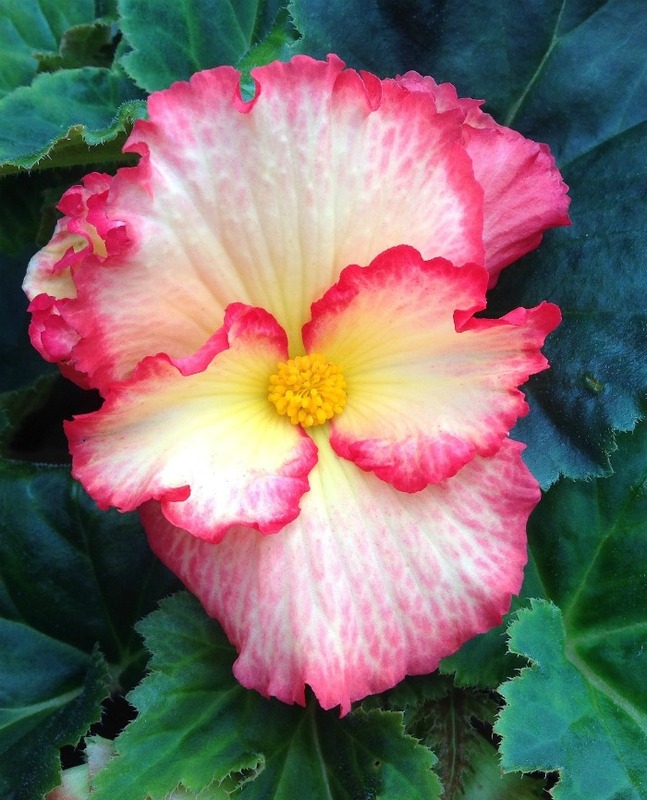 Both types of begonias come in a wide variety of colors from white through to pink, purple, yellow and red. There are over 1,000 varieties of tuberous begonia’s which can be divided into 2 different categories; upright or hanging. The fact that begonias like shade outdoors makes them ideal for growing inside. If you do plant them outdoors, be sure to avoid direct sunlight. Indoors place them near a window that gets bright filtered light. Early morning sun in an east facing window works well. They also grow well indoors under grow lights. 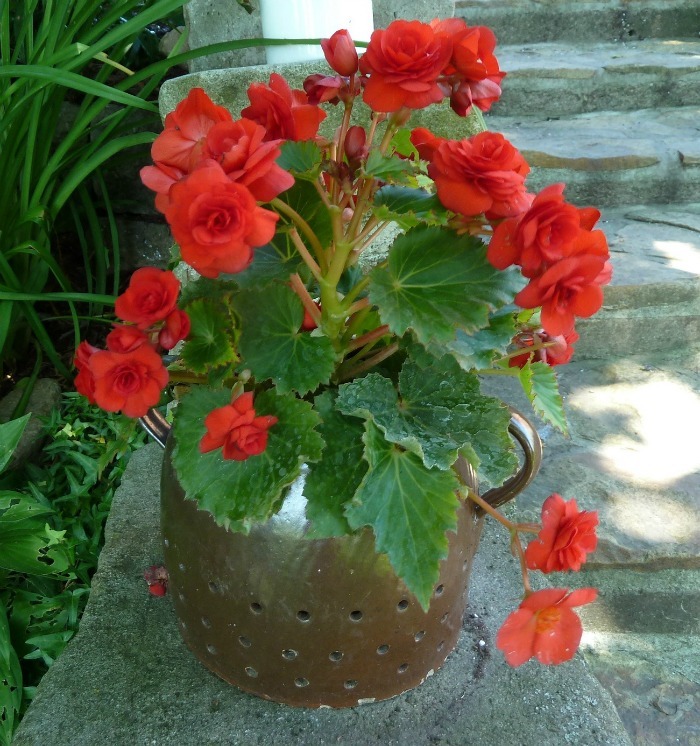 All sorts of containers will work for indoor begonias, even old collanders! Begonias like to dry out a bit between watering. Like most other plants that don’t like heavy watering, just let the plant dry out to down about the first finger joint when inserted into the soil. If it is dry there, feel free to water. 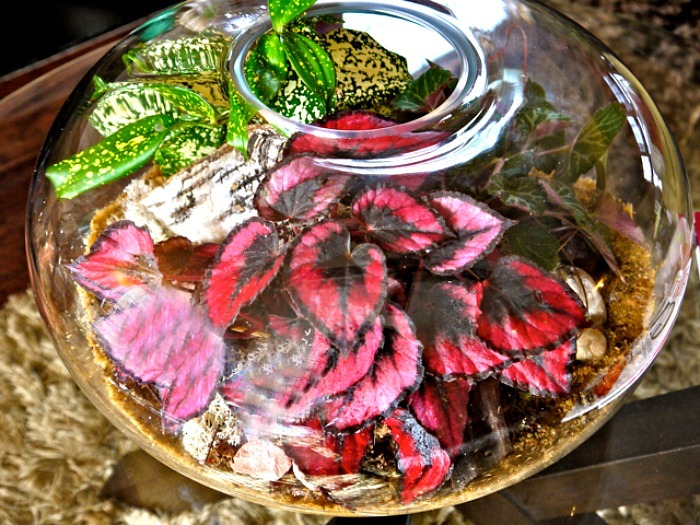 Because of their humidity needs, begonias are ideal for growing indoors in terrariums. A well draining soil mix is a must. Begonias do not like wet feet and will easily drop leaves if they are over watered. (This also makes them susceptible to fungal diseases.) 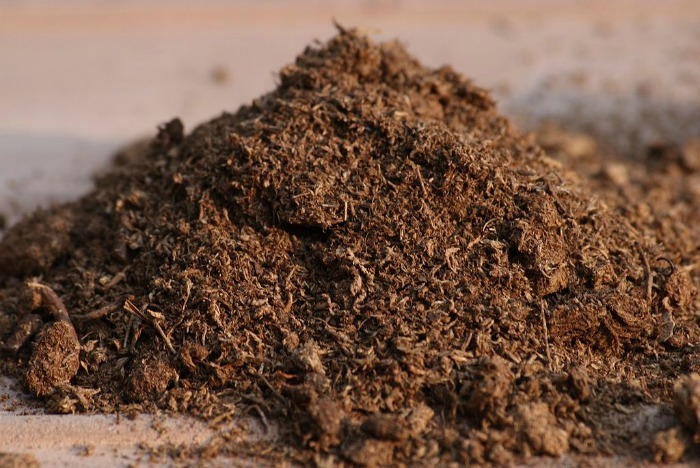 A good mix of soil is 2/3 peat moss and 1/3 potting mixture. (soil free is best) Outdoors, growing begonias means adding lots of organic matter to the soil. Begonias benefit from an acidic soil, which the peat moss gives it. Adding some used coffee grounds to the soil will work wonders for begonias. A balanced fertilizer with a 20-20-20 ratio is best. It will nurture both the leaves and the flowers. Liquid fertilizer in your watering can works well for indoor plants. The leaves of begonias have almost as much interest as the flowers do. The common outdoor type of begonia (also called Ice Begonias) have glossy, small leaves. Tuberous begonias have more interesting leaves. Begonias have a tendency to become leggy. Pinch the tip of branches to promote a bushier growth. Many tuberous begonias are grown FOR their leaves. 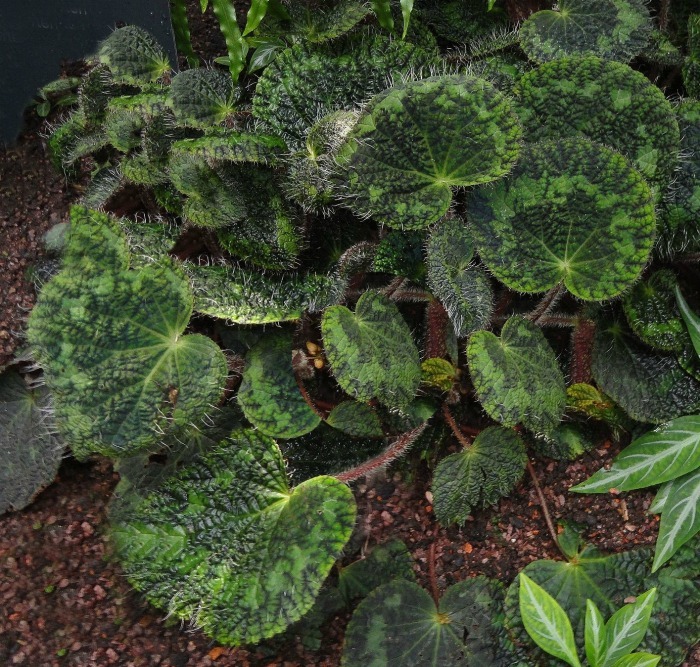 Unlike the shiny leaves of bedding ice begonias, most tuberous begonias have slightly fuzzy or patterned leaves. Some, like the Dragon Wing Begonia is very large and light green with speckles on it. Sizes of the leaves can range from ½ inch to 1 foot! 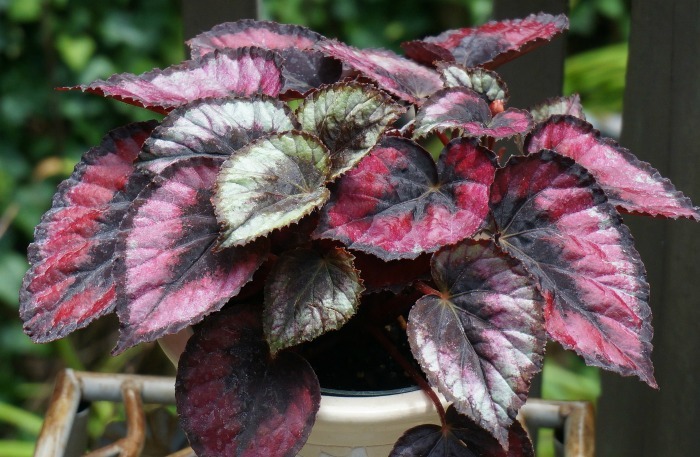 Others, like the Rex Begonia, are grown for the dramatic color that the leaves have. Flowers are sometimes less of factor in these plants, although all do flower. 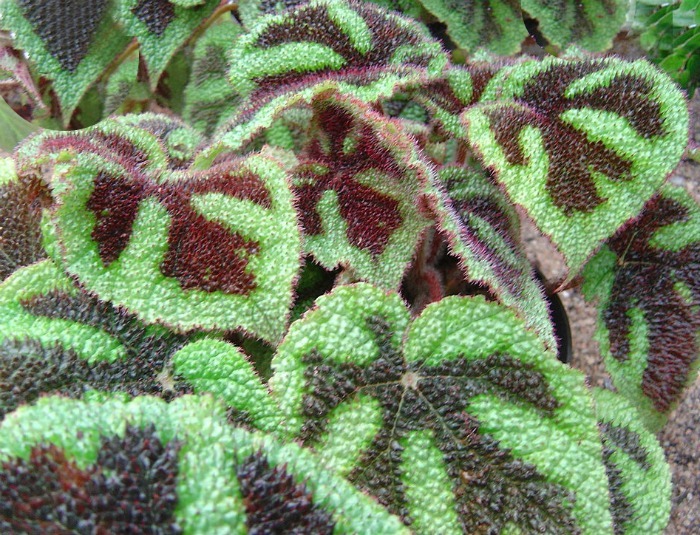 And the Iron Cross begonia has a Majestic leaf pattern with a cross design. Who cares what the flower looks like when you have a leaf like this? The sky is the limit with the beauty of begonia flowers. There are single flowers, and doubles. Plants are one color or have more than one color in the blooms. Some are solid and others have rimmed edges. Many are straight edges and others are frilly. Whatever the flower type, they all have one thing in common – They are stunningly beautiful. The flowers can sit low atop the plants on some varieties, like bedding plants. On others, the flowers can be up to 8 inch, very showy, and will bloom from summer to fall. One of their greatest attributes outdoors is that they will bloom in the shade. Tuberous begonia flowers are often held up on very tall stalks that sit above the leaves so that both are shown to their best advantage. Most begonias are self cleaning and don’t require deadheading.. 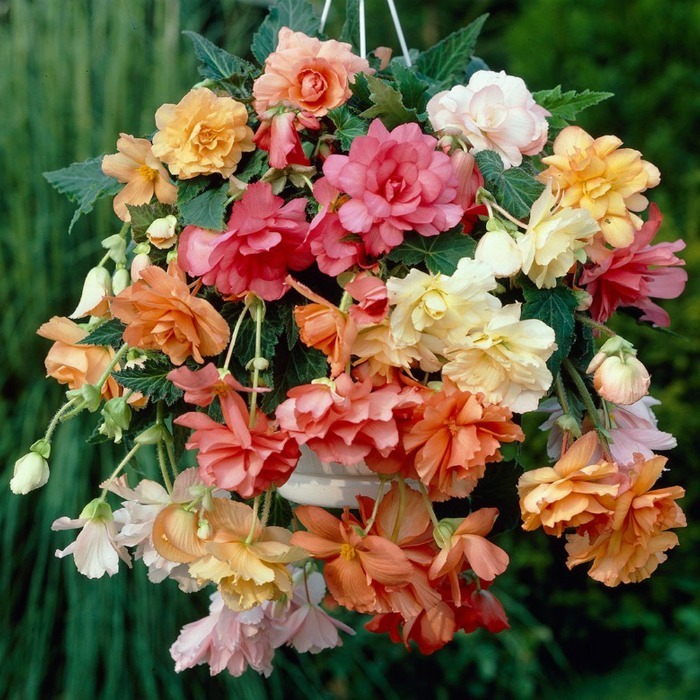 Some tuberous begonia varieties have a cascading habit that makes them ideal for hanging baskets. 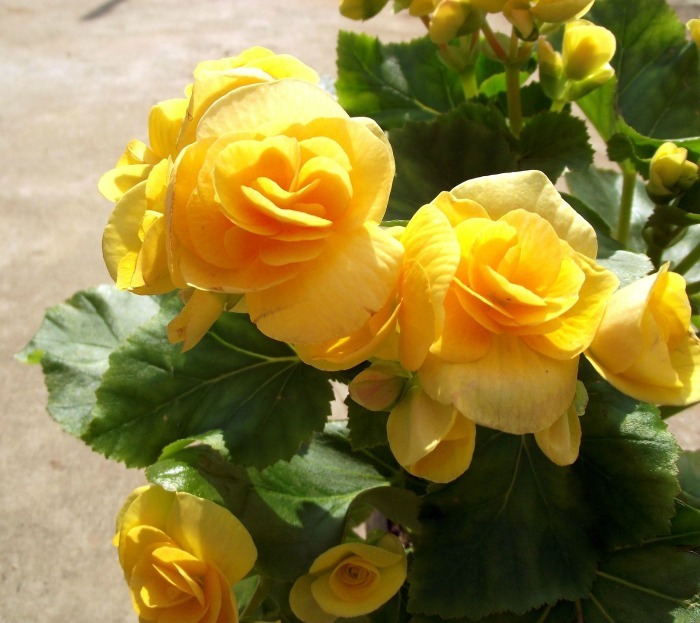 All types of begonias are considered annuals outdoors, unless you live in very warm climates. Indoors they will grow as a perennial and come back year after year. I have begonias growing outside in the summer, and then in the fall I either take cuttings or bring the whole plant indoors to use as a house plant. They do have a dormancy period in the winter months, so go light on watering during this time. They can even be left with no water in a non freezing spot for the winter if you wish. You can also dig up the begonia tubers and bring them indoors for the winter. Let them dry out and store them in a cool place covered in peat moss until you are ready to plant again in the spring. Begonias like the heat both indoors and out. The ideal temperature for them is 72º F is ideal, but slightly higher or lower temperatures are fine, too. Propagate begonias by taking cuttings in the spring. 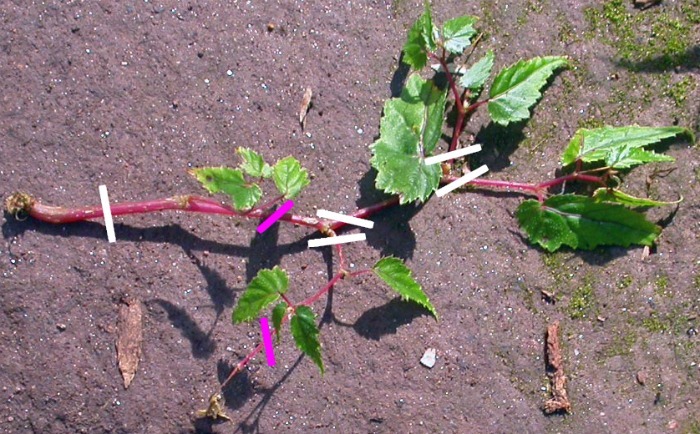 Plants can also be divided when they are dormant, or when the shoots of plants are still small. To take cuttings, slice along the stem of a begonia and remove any flowers. This piece of plant below will make several new plants. Just dip the tips of the stems in rooting powder and place in a light seed starting mix. Roots will form in a few weeks and growth in a few more. The white lines in the photo below show where to make cuts and the pink lines show what to discard. Pests are not so much of a problem for indoor begonia plants but some care is needed for those grown outdoors. Mealy bugs is the most common pest found indoors. A Q tip dipped in rubbing alcohol will take care of them easily. 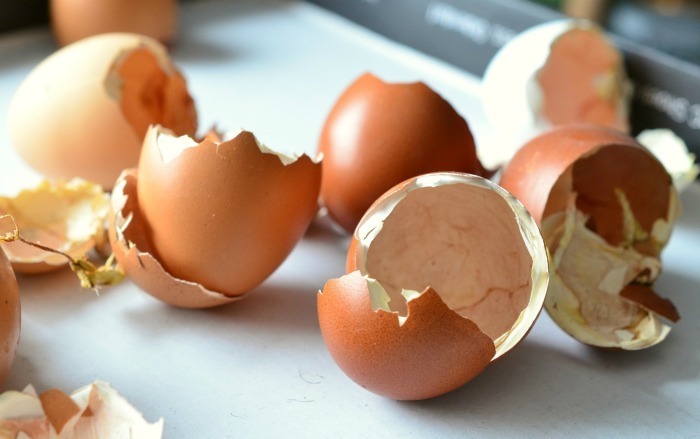 When growing begonias outdoors, use egg shells as a barrier for slugs and snails by placing them around the base of the plants. 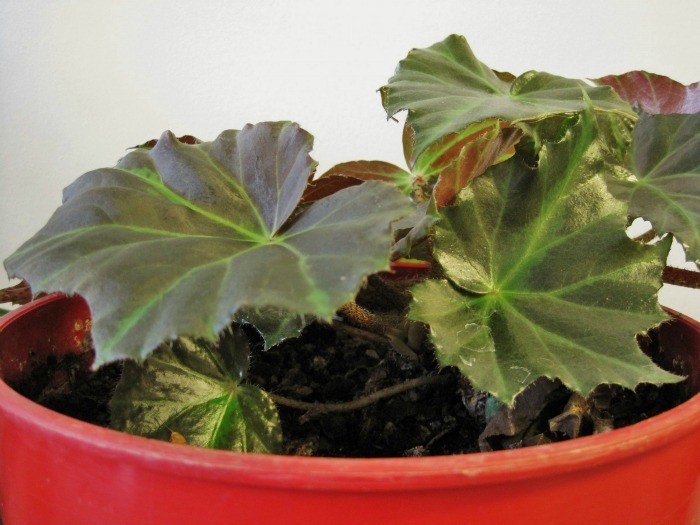 Begonia plants are susceptible to various forms of fungi and bacteria. The right humidity and good airflow is essential to maintaining healthy plants. Follow these growing tips for begonias and you will end up with a showcase of amazing flowers and leaves both indoors and out. What luck have you had growing begonias? Did you find them difficult to grow? ← Easter Grapevine Door Swag – Butterflies Bunnies and Eggs! I kept my double red tuberous begonia in the house all winter. It lost its flowers but continued to grow foliage. Want to return it outdoors on the porch where it thrived last summer. How can I get it to start flowering again? disappointing. Is it the verity of begonia, or is there a fertilizer that can help increase the flower size? Thanks for any suggestions. Hi Steven. Flower size can really vary on begonias. 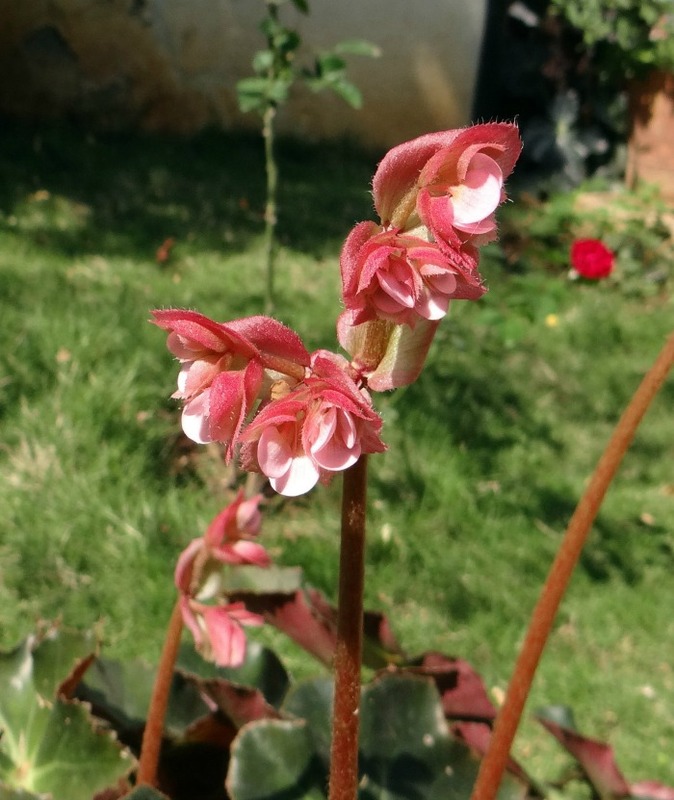 The common begonia annual has 1 inch or smaller flowers. Tuberous begonias might grow to up to 2 inches in size and angel wing begonias have attractive big leaves but 1/2 inch flowers. My begonia is 7 years old. Once it stops flowering in the fall I put the whole pot in my basement & completely ignore it until after the last frost. Then I put it back on my deck and let nature take care of it. Other than a little water once in awhile & a bigger pot, I have done nothing to it in 7 years. It just gets more spectacular every year.